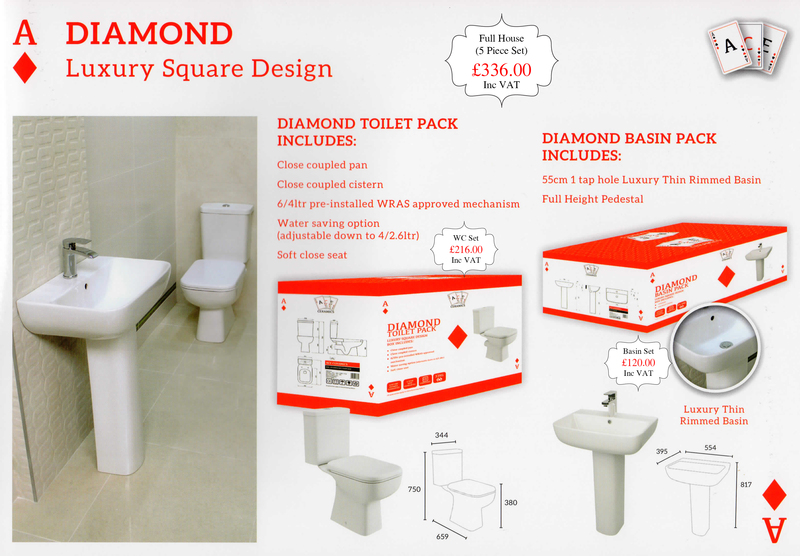 A very important room in any house, the bathroom is probably one of the most used rooms in the house, so you want it to be functional, clean, smart, easy to clean and maintain. 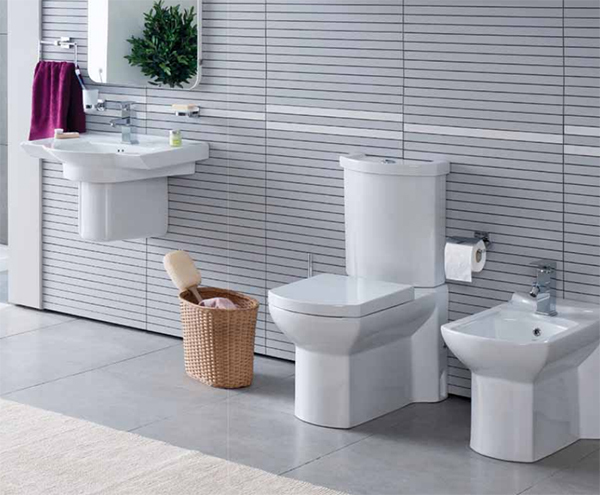 With a multitude of styles and colours to go for, there is something in our catalogue for everyone. 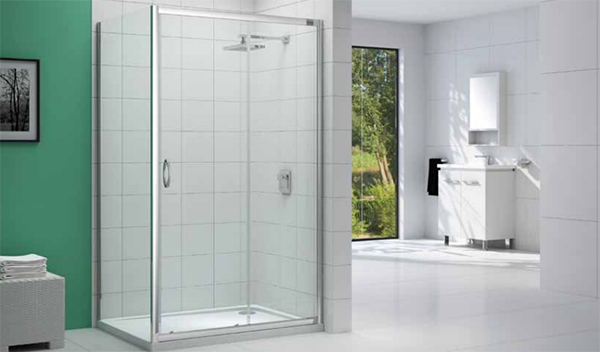 With a wide range of bath and shower types, we can cater for any bathroom size or furniture combination. 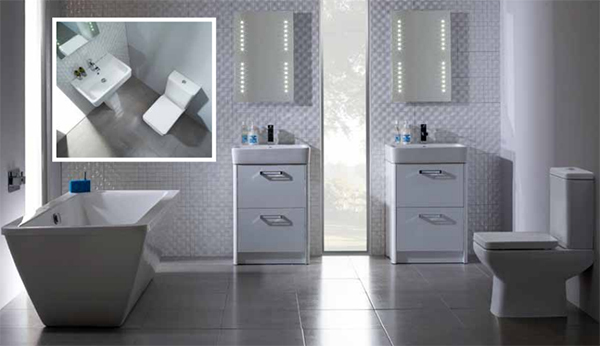 We can also offer a selection of mirrors with elegant LED lighting to add that extra touch of finesse. 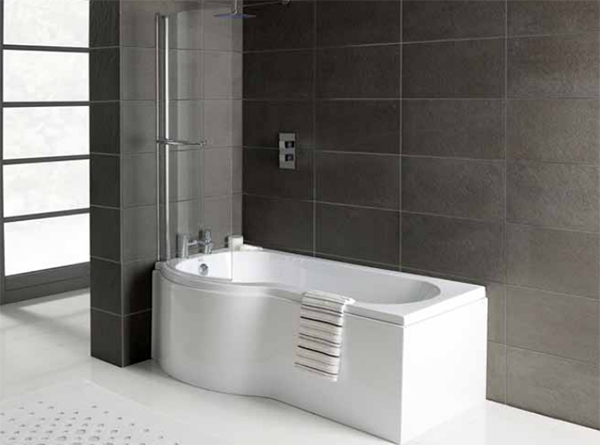 As for flooring, try our range of Viligno water resistant flooring to complete your project. 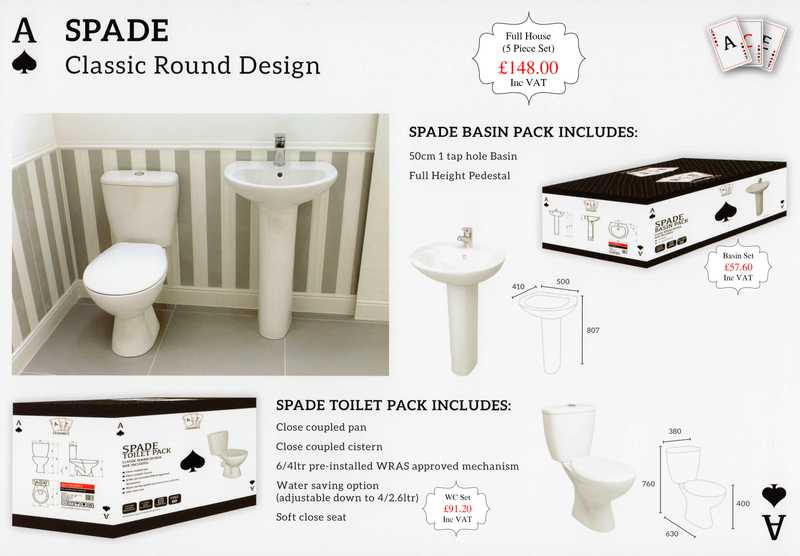 Extremely elegant and designed for bathrooms and wet areas. Enterprise Building Products offer a wide range of exceptional quality bathroom suites at very competitive prices and we offer free local delivery. No matter what you are looking for, we are confident that we have something that will suit your needs both for taste and budget. 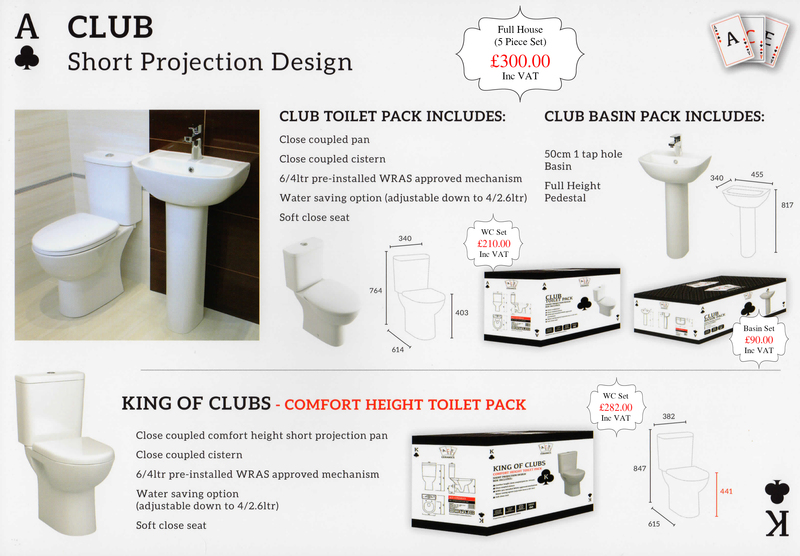 However large or small your project, we can offer full suites, shower trays and enclosures, as well as all ancillary items to complete your perfect bathroom. 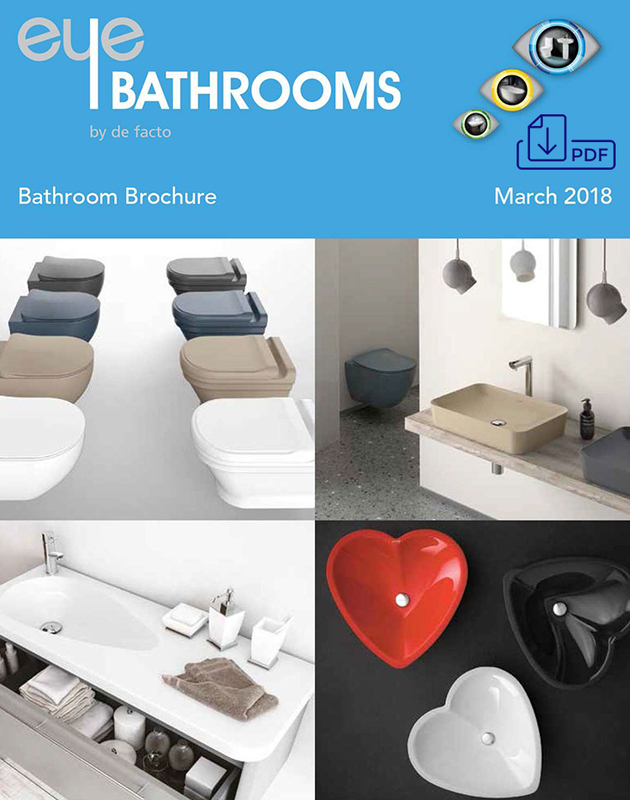 You will also find a wide range of accessories in our catalogue from shower pumps to cabinets to solutions for less able bodied individuals. 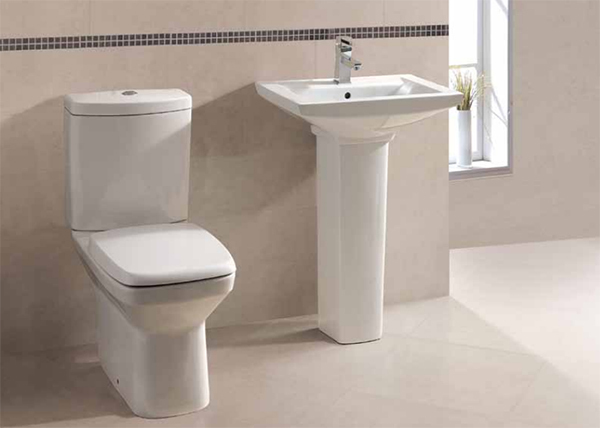 Gienic is a range of combined WC/Bidets with an in-built sanitary system where at the push of a button or the turn of a tap a jet of water is delivered at a pre-set angle into the WC bowl replicating the action of a conventional bidet. Not only does this eliminate the need for a separate bidet whilst at the same time saving space but more importantly the Gienic provides a more hygienic solution to the obvious alternative. 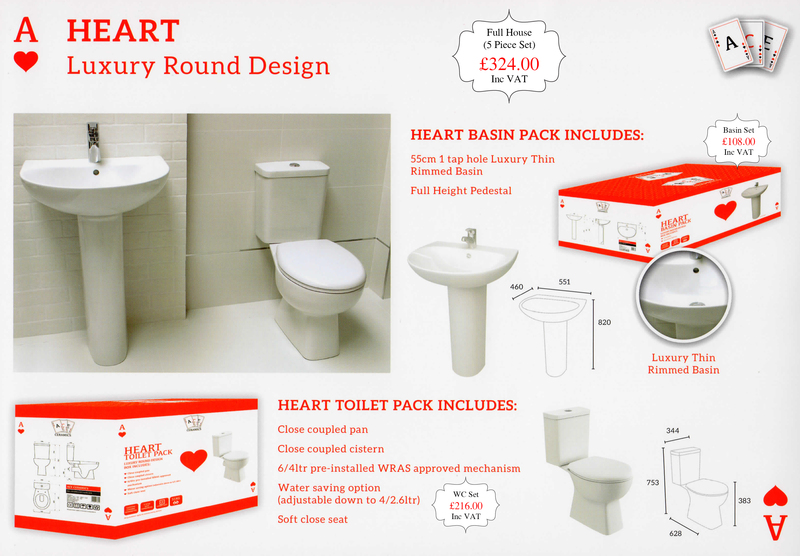 To view our comprehensive range of bathroom components please click on the image below.